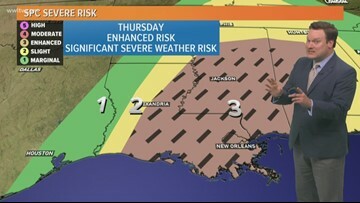 When you hear a severe weather forecast talk about a "slight risk" or an "enhanced risk," what does that mean and what can you expect? 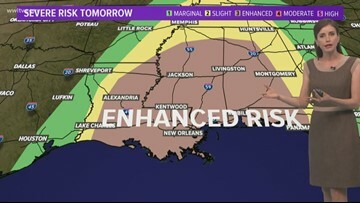 Thunderstorms could bring damaging winds, a few tornadoes and large hail. 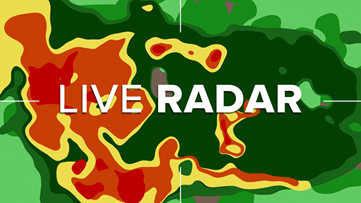 You can track storms with our animated radars. 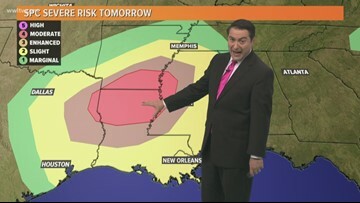 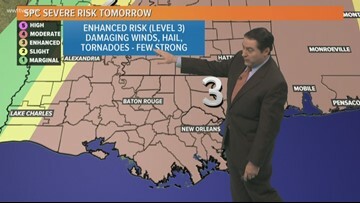 Meteorologist Chris Franklin breaks down the risk and timing of severe storms expected tomorrow. 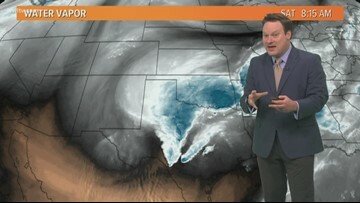 Southeasterly winds will continue to pump in Gulf Moisture over us today. 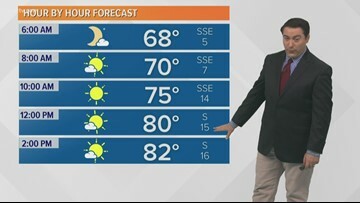 This will make it more humid with a mix of sun and clouds. 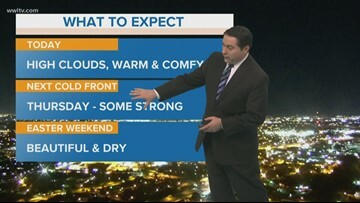 We will be warmer with high temperatures in the lower 80s. 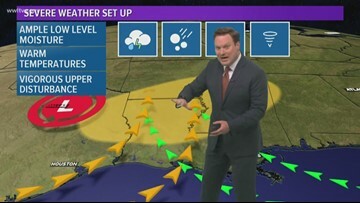 Another cold front arrives on Thursday with strong thunderstorms. 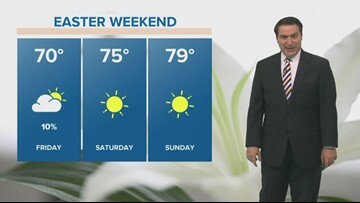 Weather Expert Forecast: Beautiful few days ahead! 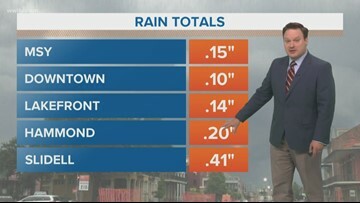 We dodged the worst of the weather, but are reaping the benefits of a cold front today and into the start of the week! 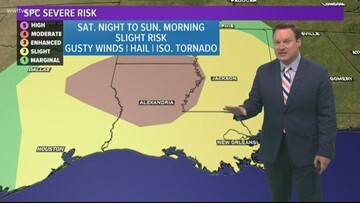 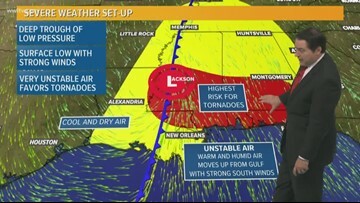 Meteorologist Chris Franklin has a look at the potential and timing of storms this weekend and why they won't pose a problem for all the festivities. 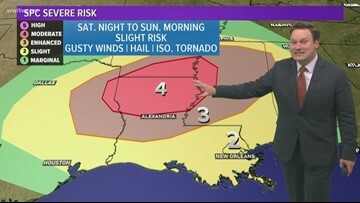 Meteorologist Chris Franklin explains why you shouldn't cancel weekend plans even with the potential for severe weather. 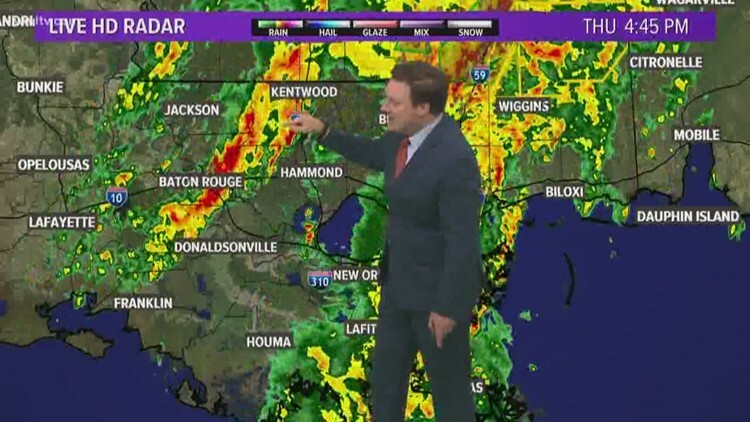 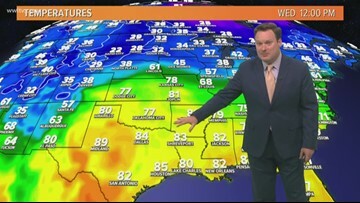 Meteorologist Chris Franklin tells us how long the warm spring weather will last and we will likely see another round of potentially strong to severe storms.